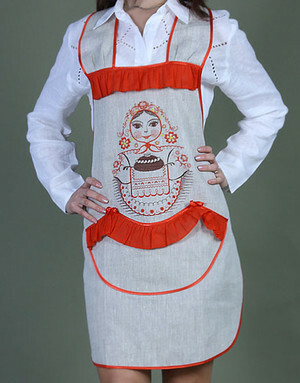 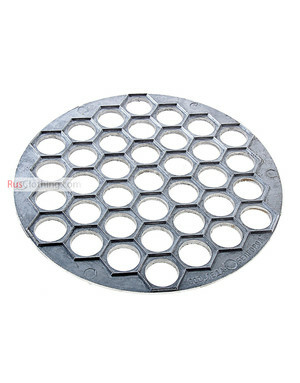 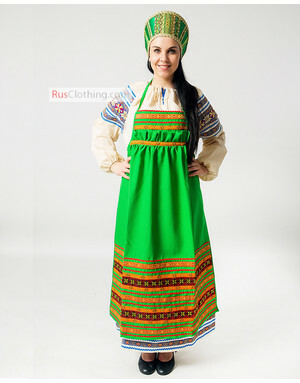 RusClothing.com features an amazing collection of cute kitchen aprons in best Russian traditions. 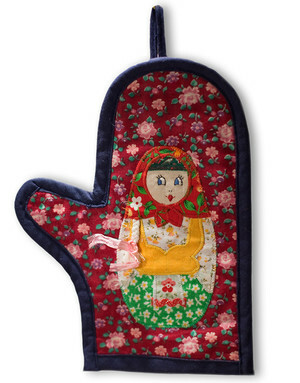 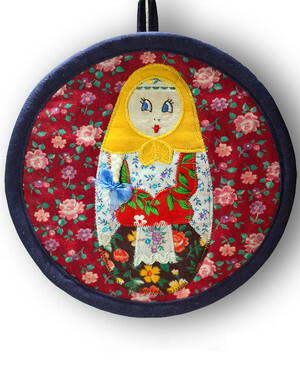 Patchworked Russian ladies from fairy tales will add a charming Russian accent to your cooking. 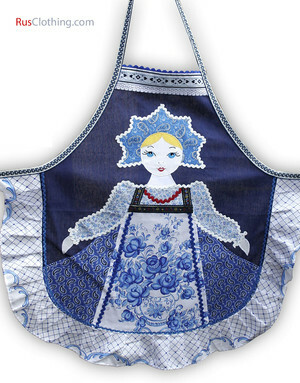 Home work has never been such a pleasure for the person in a merry mood! 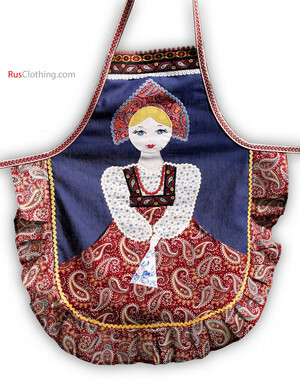 Matrioshka, Alenoushka, Vasilisa are coming on our aprons to help you. 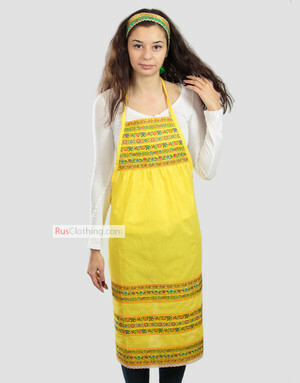 Aprons are made of 100% linen or cotton. 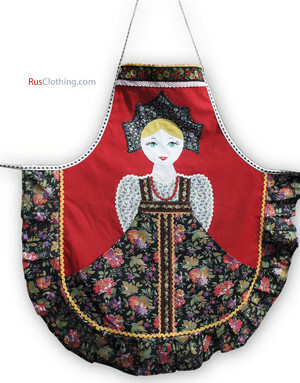 Kids and adult sizes are available for some kitchen aprons.